NETFLIX! 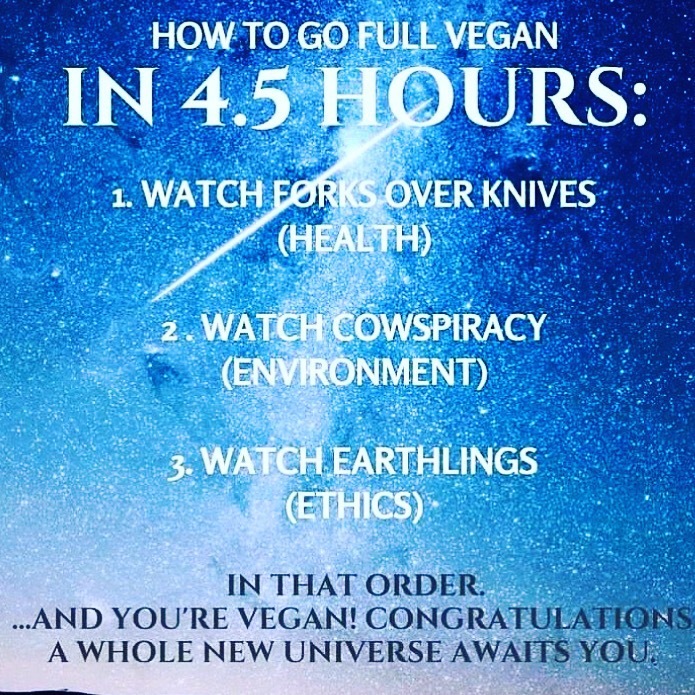 I would have never thought that the service responsible for entire weekends lost to binge watching ridiculous TV series would be such an outstanding source of information for sustainable, healthy, and cruelty free vegan lifestyles. It’s a fact that some people’s minds are so closed that they will not absorb the info presented in these documentaries, and it’s a sad fact that some people’s hearts actually don’t care about their own health, their families health, the environment, or innocent animals. What these people don’t consider is the fact that in a generally short period of time, everyone will be vegan. If not out of health/ethical concerns, it will be out of necessity. The meat industry is simply unsustainable, not to mention horrifically cruel. If more people were lead by their hearts instead of their stomachs, the world would be a better place. I am so thankful for Netflix and all the available documentaries that shed light and truth to inspire change. Great! I hope so too! I just re blogged this on my site. Thanks for the information. I hope it helps more people go Vegan. This is a wonderful article that compliments my latest post!